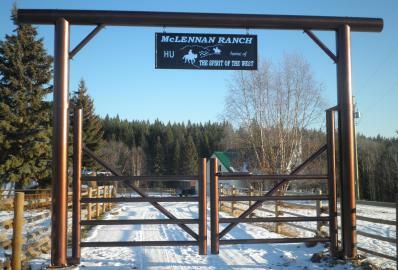 We sure love our new Morand Industries Ranch Gate! The 2019 Spirit of the West Cruise is our 18th Anniversary Cruise! August 29th to September 14th, 2019 we'll be doing 12 Day British Isles Cruise with a seven day post cruise Ireland coach tour option. Book the post cruise package early and save and/or book the cruise before January 21st and save more! The cruise is with Princess and on the cruise ship "Crown Princess". See the Cruise page for more info on both. New Announcement: We've decided its time to have another Crusie Reunion! April 25th in Red Deer, AB ... See the Cruise page for more info! 25 years ago Marlene Pegg was Hugh's guest and she talked about her life as a ranch wife, colt starter and all around cowboy. Today she's back to update her life and talk about why she is unable to ride anymore, and about her gift for western art that has made the transition easier. A hilarious piece of cowboy Poetry, some valuable horse training advice and more unforgettable music of the west this week. Art work by Marlene Pegg who is back this week as Hugh's guest. See the Spirit of the West page. 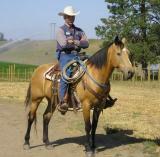 Read the latest testimonials for Spirit of the West Radio Show on the Testimonials Page. 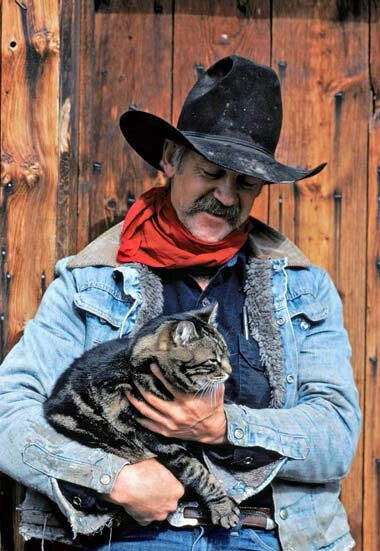 Watch Hugh and Lucky the Wonder Horse in this video for Tourism Kamloops! Contemporary and traditional music of the west. Real working cowboys, ranchers, horse trainers, vets & others. and advertising information, See the Spirit of the West page. See the Hugh McLennan page for details. Find out about the Annual Spirit of the West Cruise! and it's not there now, tell your favorite radio station.